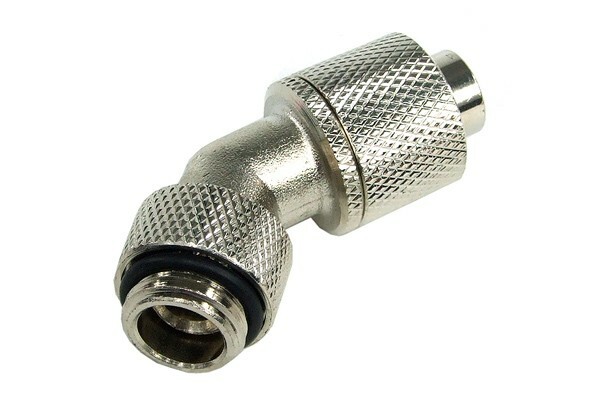 High-grade robust compression fitting with cylindrical thread (G1/4"). the hose is fixated safely by the union nut and seals immediately, yet it can easily be released with one hand. This fittings is freely revolvable (360°) and is angled by 45°. Ideal for systems with high flow and little space as well as for Chipset cooling, graphics card cooling or DIY projects. This systems ensures maximum safety and ease of installation. Eheim 1046/48 In- and 1250 outlet adaptor to G1/4"